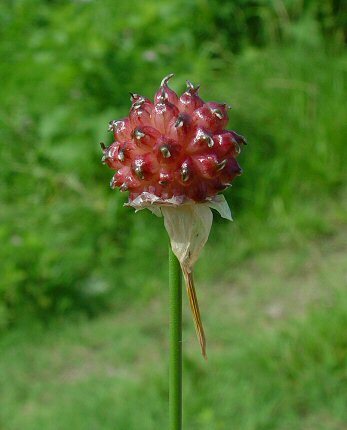 Bulb with papery outer coating. Bulb with coating removed. Arrow shows bulblet. Habitat - Waste ground, lawns, fields, disturbed sites, thickets, roadsides, railroads. 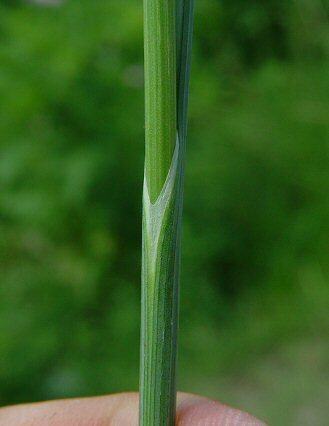 Tubular leaves which occur along the flowering stem. 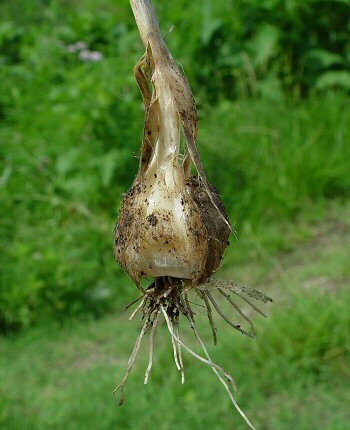 Flat sided propogative bulblets arising from the main underground bulb. 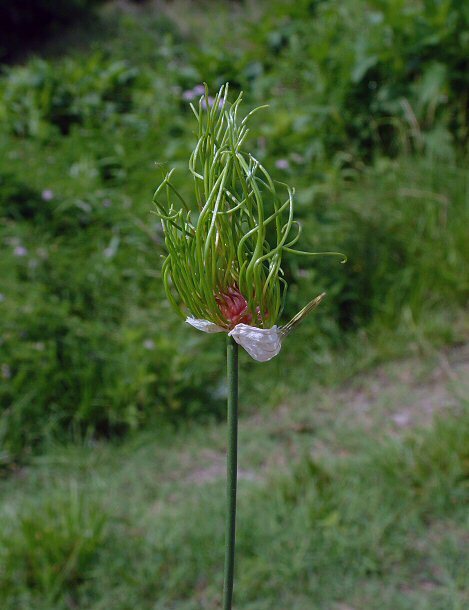 Flowers being completely or partially replaced by bulblets. Lilac, tubular flowers, when present. Early season plants appear as a mass of bright green tubular leaves. 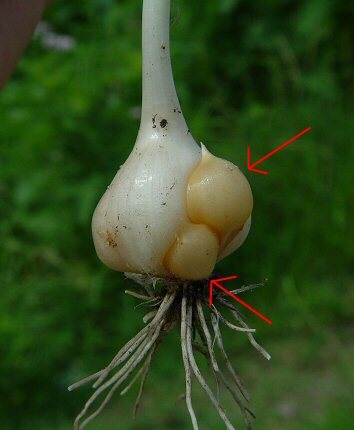 The plant is edible and has a stronger, more bitter flavor than cultivated Garlic. 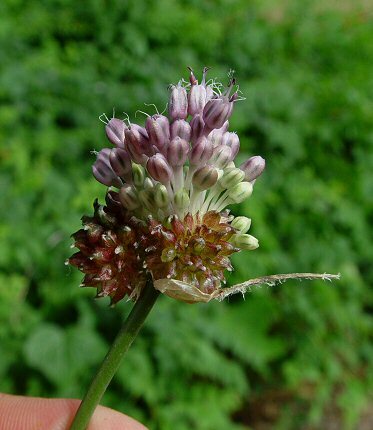 Allium is the Latin for "Onion" or "Garlic." The species epithet vineale derives from the Latin "vine" meaning "wine." The name means "of vineyards." Photographs taken off Providence Rd., Columbia, MO., 5-29-04.